This pan is under the evaporator coil inside of the air handler. It is necessary to catch the water and direct it to the drain line and out of the home. 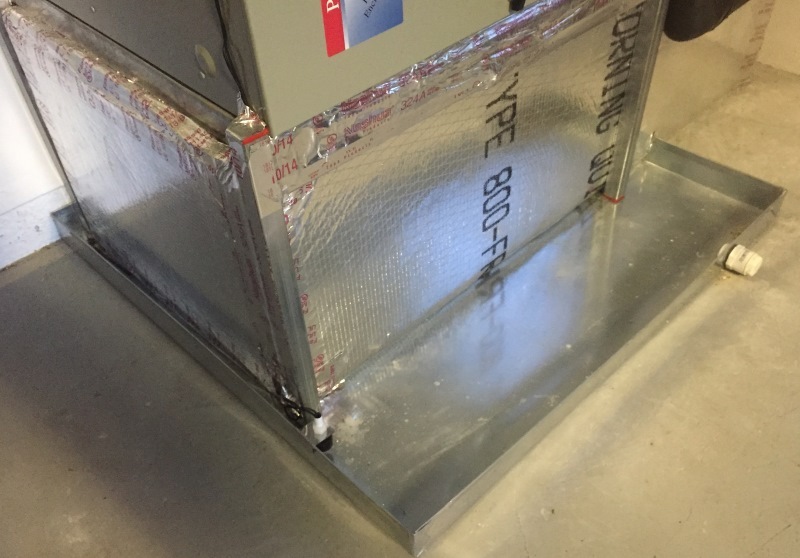 Pure Air adds condensate tablets to every drain pan on a maintenance. These tablets prevent algae from forming in the drain line between services.